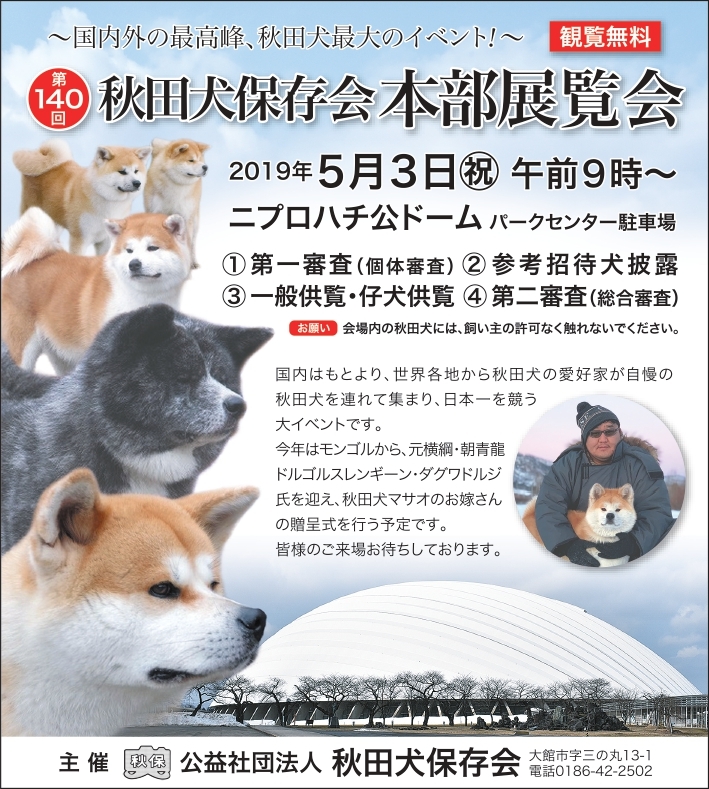 At the Akita Dog Preservation Association, we will do everything possible to protect your important personal information by observing laws and other norms concerning personal information. We may collect personal information to the extent necessary in the following cases. We will respond reliably when there is a request such as disclosure, correction, deletion etc. of self information from the customer himself / herself. By using the DoubleClick cookie, Google and Google partners can display appropriate advertisements on our site based on access information to this site and other sites. Customers can opt out of the DoubleClick cookie used for advertising on an interest basis on the Ads Settings page of the Google Account below. You can also access the page on aboutads.info and disable cookies of third-party vendors used for advertising on an interest basis. For other details on how cookies are handled in Google ads, please see our policy and terms page.